Sheep body lice (Bovicola ovis) are small insects, generally less than 2 mm in length with a broad reddish-brown head and a pale body. Adult lice have brown stripes across the body but these are absent in the younger stages. All stages live and breed only on sheep and most will die within a week when separated from their host. They feed on skin cells, wax and bacteria on the skin surface, and in doing so, irritate sheep causing them to rub and bite at their fleece. will remain lice-free in all but extremely rare instances. Two other species of lice are sometimes found on sheep. Unlike the body louse, these are blood-sucking lice, often appearing bluish in colour and generally found on the legs or face of sheep, or sometimes on the scrotum of rams. These species are of little economic importance. 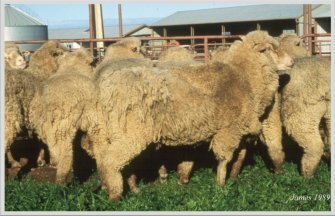 A photograph of the different stages and more detailed information on biology is found in the LiceBoss Note: Biology of sheep lice (Bovicola ovis). Images above: (L) Sheep body louse (Bovicola ovis) - (R) Foot louse (Linognathus pedalis). Source: Peter James. 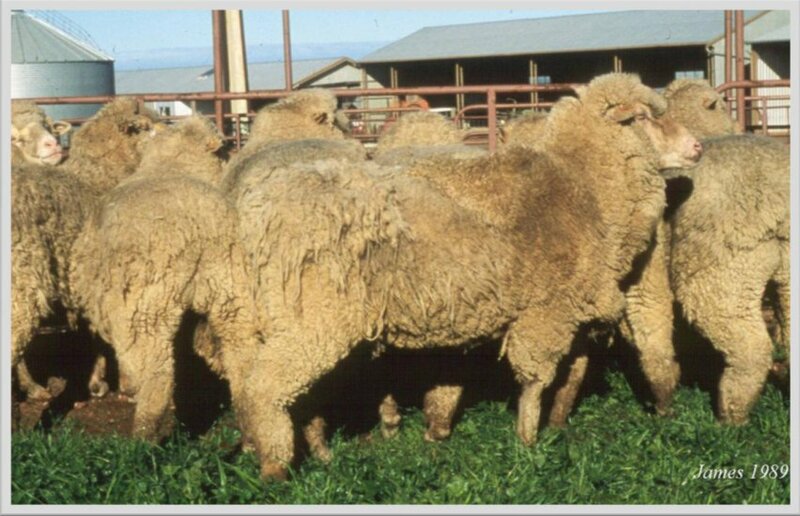 If left unchecked, sheep lice infestations can cause reductions in wool cut of up to 1 kilogram per head. They downgrade wool quality by reducing yield and increasing the amount of wool placed in inferior lines because of un-scourable colour and cotting. Lice-affected wool also suffers greater card loss during processing, reduced top yield and reduced mean fibre length in the wool top. Lice do not cause reductions in body weight, although animals in poor condition due to poor nutrition or disease often develop heavier infestations of lice. For a detailed description of the economic impacts of lice see the LiceBoss Note: Why control sheep lice? Economic effects of lice on production. Image above: Lousy sheep with rubbed and clotted wool. Source: Peter James.